A Supreme Court Bench comprising of Chief Justice R.M. 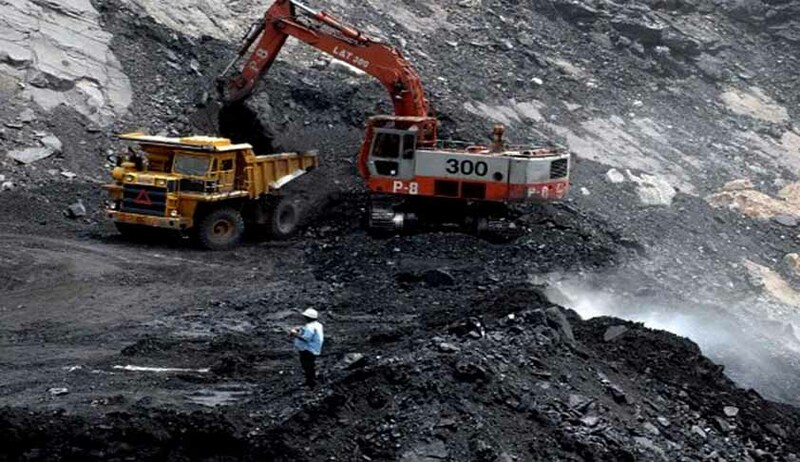 Lodha, Justice Madan B. Lokur and Justice Kurian Joseph today quashed the allocation of 214 out of 218 coal blocks which were allotted to companies since 1993. It was claimed that around Rs. 2 lakh crores were invested in the same. However, the allotment of three coal blocks was not disturbed and they are Moher and Moher Amroli Extension allocated to Sasan Power Ltd. (UMPP) and Tasra (allotted to Steel Authority of India Ltd. (SAIL), a Central Government public sector undertaking not having any joint venture). A judgment was delivered in these cases on 25th August, 2014 and it was held that the allotment of coal blocks made by the Screening Committee of the Government of India, as also the allotments made through the Government dispensation route are arbitrary and illegal. Since the conclusion arrived at would have potentially had far-reaching consequences, on which submissions were not made when the case was heard, the question of what should be the consequences of the declaration was left open for hearing. Read the Live Law story here. For the purposes of these “consequence proceedings”, the Union of India filed an affidavit dated 8th September, 2014. It is stated in the affidavit that coal is actually being mined from 40 coal blocks listed in Annexure I to the affidavit. This list includes two coal blocks allotted to an Ultra Mega Power Projects (Sasan Power Ltd. [UMPP] allotted the coal blocks Moher and Moher Amroli Extension). Coal blocks allotted to UMPPs have not been disturbed in the judgment. It was stated that 6 more coal blocks were ready for extraction of coal in 2014-2015. Therefore, the affidavit stated that 40 coal blocks are already producing coal and 6 coal blocks are in a position to produce coal virtually with immediate effect. The question was whether the allotment of these coal blocks should be cancelled or not. It was submitted that Coal India Limited (CIL) a public sector undertaking can take over and continue the extraction of coal from these 44 coal blocks without adversely affecting the rights of those employed therein. However, it was submitted that CIL would require some time to take over the coal blocks and manage its affairs for continuing the mining process. Effectively therefore, it was submitted that even if the allotment of these 44 coal blocks is cancelled, the Central Government can ensure that coal production will not stop. Mr. K.K. Venugopal, Senior Advocate, appearing on behalf of the Coal Producers Association submitted that cancellation of all the coal blocks would have very serious and far reaching consequences. He had submitted that it would greatly impact the economy of the country and would set back the process of extraction and effective utilization of coal by about 7 to 8 years. He also submitted that if the coal blocks are not cancelled, the allottees could continue their contribution towards corporate social responsibility and socio-economic development of the country and that the additional levy of Rs. 295/- per metric ton of coal extracted (described as a penalty) is unjustified. Mr. Harish Salve, Senior Advocate, appearing for the Sponge Iron Manufacturers Association generally supported the submissions made by Mr. Venugopal. As far the 6 coal blocks were concerned, the Court said that the allocatees have not yet commenced production. They do not stand on a different or better footing as far the consequences are concerned. These allotments are also liable to be cancelled. The allocation of the Pakri Barwadih coal block (allotted to National Thermal Power Corporation (NTPC), being a Central Government public sector undertaking not having any joint venture) is not liable to be cancelled. Except the above two allocations made to the UMPP and the two allocations made to the Central Government public sector undertaking not having any joint venture mentioned above, all other allocations are cancelled. The Court hence quashed the allotment of 42 out of these 46 coal blocks, clarifying that the cancellation will take effect only after six months from today, which is with effect from 31st March, 2015. This period of six months is being given since the learned Attorney General submitted that the Central Government and CIL would need some time to adjust to the changed situation and move forward. The Bench also accepted the submission of the Attorney General that the allottees of the coal blocks other than those covered by the judgment and the four coal blocks covered by this order must pay an amount of Rs. 295/- per metric ton of coal extracted as an additional levy. This compensatory amount is based on the assessment made by the CAG. The compensatory payment should be made within a period of three months and in any case on or before 31st December, 2014. The coal extracted hereafter till 31st March, 2015 will also attract the additional levy of Rs. 295/- per metric ton. The alleged criminality in the allotment of 12 out of the 46 coal blocks identified by the learned Attorney General is under scrutiny by the CBI and that was asked to be continued by the bench in its order.